When we talk about “helping”, most people believe that it limits to giving Rs 10 to that man playing a guitar on the roadside. It is a good deed of course because, without this, that man would probably have found himself in the incapability to provide his family with supplies for dinner. However, money is not the only way to help others. The modern man is so engrossed in his busy life to actually notice the little things surrounding him. He does not realise that a smile could have made that old lady’s day; that old man just needed someone to offer him a seat; and that five year old was sulking because her mother would not listen to her new poem. Therefore, at ELI- Africa, we try to not just think, but act differently. In most cases, people need other than money to be happy. Some simply want a little bit of our time. Others want to feel cared for, despite their imperfections and difficulties. Because what really matter are the little things that can make a difference. So, for our last event, we wanted to do something different. What if we could contribute to the protection of nature and at the same time, make people happy? Because, this is what we did! 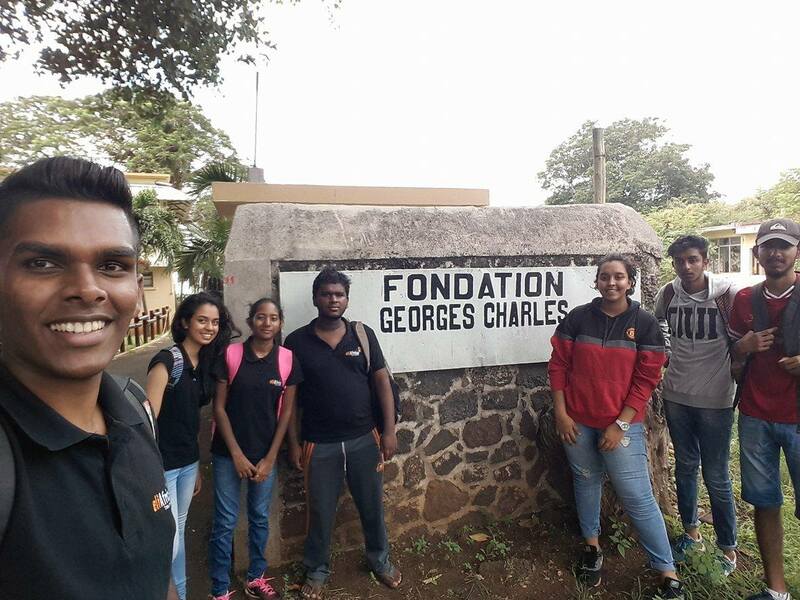 Following our quest of spreading endemic plants around the island, our next quest was Fondation Georges Charles. It is an institution which welcomes students with a mild intellectual disability and who cannot seem to fit in the usual educational and social system. These children are as innocent and good- hearted as any other. But at times, their peculiarity can be the cause of the cruel rejection they face. However, the ELI Africa team was determined to spend an amazing day with them. We wanted to sensitise them about endemic plants and help them in discovering the beauty of nature. But above all, we wanted them to feel happy, cared for and loved by participating in our activity. 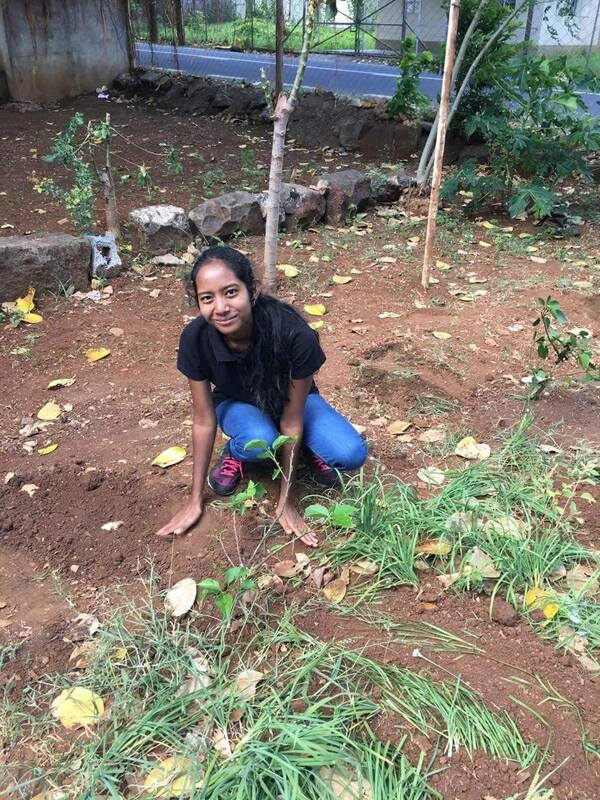 Along with the help and support of the Standard Bank team and the participation of the students from Fondation Georges Charles, we planted about 40 endemic plants. These included Hibiscus Genevii, Hibiscus Fragilis, Bottle Palm Trees, among others. 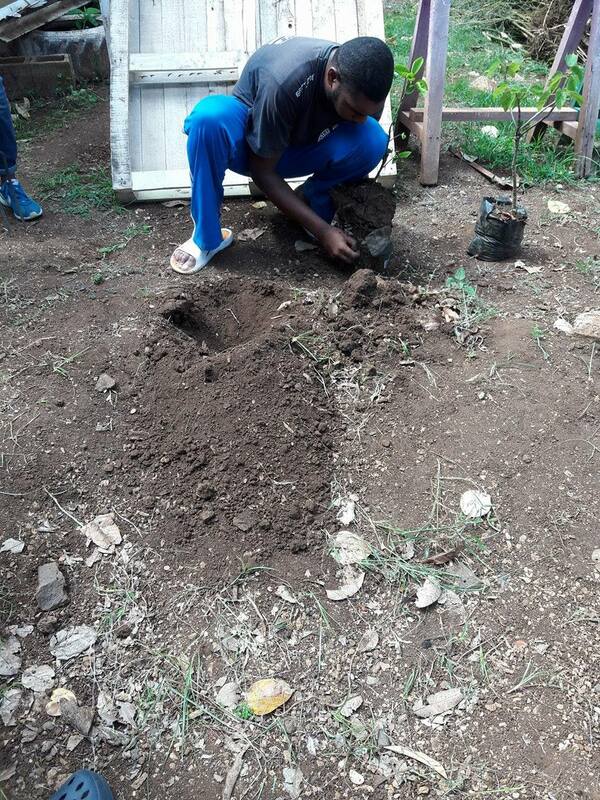 Even though we spent about half a day toiling the soil, we hardly felt the tiredness due to the immense positive energy that emerged from our team spirit. The results that followed were mesmerising. The cooperation and coordination from all parties gave way to a beautiful arrangement of endemic plants. We still remember their reactions on seeing the garden we started creating. Their smiling faces were priceless and the glow in their eyes was definitely heart-warming. Saturday 25th of March 2017 at Fondation Georges Charles was an undoubtedly delightful experience. It was the first step of a prosperous journey and after such a wonderful encounter, we can assuredly say that better events are to follow.